To be free of Brussels, Whitehall and Westminster have ripped up the rule book and undermined their own authority, writes Paris Gourtsoyannis. Two weeks ago at Prime Minister’s Questions, the SNP’s Westminster leader, Ian Blackford, drew jeers for welcoming a delegation of Dutch MPs to the public gallery in their own language. On return to the Netherlands, the fact-finding mission gave its view about how ready the UK was for Brexit. As the Commons prepares for its second and probably decisive vote on Theresa May’s Brexit deal, the story feels illustrative of where the UK is, and how it got here. With just three weeks until the UK is scheduled to leave the EU, and nearly three years on from the referendum, it remains unclear when Brexit will happen, if it will take place at all, and whether the UK will leave with a deal, or tumble into an uncertain future without one. Even if it is agreed, the deal puts off much of the hard negotiating on future security collaboration and trade to a future “transition” phase whose length is equally uncertain. To clear the path to this point, Brexit has swung a wrecking ball through the delicate precedents and niceties of Britain’s political system and its unwritten constitution. The government suffered the biggest Commons defeat in modern history and was found in contempt of parliament for the first time ever, but carries on. Conservative MPs were told to stop turning up for non-binding votes in the Commons. Constitutional rows between the devolved and UK governments have reached the Supreme Court twice. Thirteen ministers have resigned over Brexit, and collective responsibility is a distant memory. Ministers who might have expected the sack in previous years remain in cabinet. Parliamentarians and judges have been denounced as traitors, and police now protect MPs from protesters outside Westminster. The government fears putting crucial Brexit legislation in front of MPs, while domestic issues are neglected. Post-Brexit regulations are being pushed through as giant pieces of secondary legislation, without the full scrutiny of the Commons. February recess was cancelled, but with nothing to debate in the Commons chamber, on one day the House rose after a four-hour session at half past three in the afternoon. Most of all, after 45 years of partnership and 24 months negotiating its divorce, the UK seems unable to communicate with Europe – and attempts to do so are dismissed. Few would argue that Brexit has broken Westminster. So how did it happen? From the beginning, time hasn’t been kind to the UK on Brexit. The two-year Article 50 period has squeezed Britain’s negotiators. But the government hasn’t always put the time it had to the best use. Stephen Gethins, the SNP’s Europe spokesman and previously an adviser to both nationalist first ministers, says that if the UK made its decision on Brexit without all the facts, it’s partly because there was never time to get them across. Parliament’s struggles to make a concept as poorly understood as Brexit a reality has helped create the toxic atmosphere of today’s politics, Clarke believes. It’s easy to call someone a traitor to an idea no-one can define. “With the increasing complications and complexities of modern life, it’s easier to listen to politicians with simple solutions, identify scapegoats – foreigners, or Brussels – and simply denounce in abusive terms anybody who disagrees with you. Having inherited the decision to leave the EU, May struggled to come to terms with the magnitude of the task. Nine months on from the referendum, to ease pressure from Brexiteers, she triggered Article 50 and put herself under pressure from the clock – while trading away the UK’s only real leverage in the process. 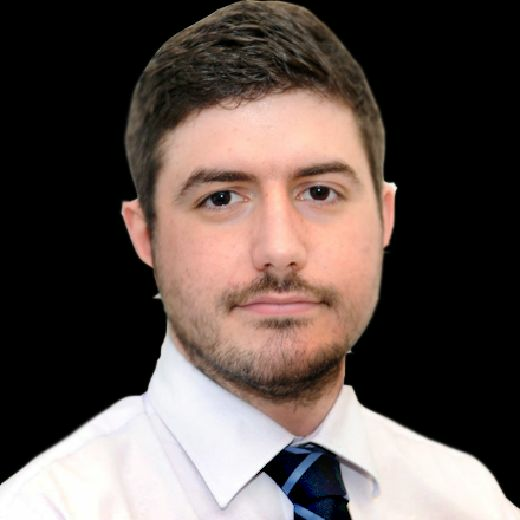 “Theresa May stood up in her 2016 party conference speech and said it would be a mistake for us to trigger Article 50 without knowing where we want to go,” says Joseph Owen, who monitors the strain Brexit puts on the Westminster machine as an associate director at the Institute for Government think tank. “But that’s precisely what we did. Even Brexiteers believe the clock was started too early. Scotland on Sunday spoke to a Brexit-supporting former minister who declined to be named. Of the “many mistakes” made over the past three years, they put triggering Article 50 “too soon” at the top of the list. Ironically, the general election called less than three weeks later was ordered in part out of fear of the government’s narrow majority. Even if the campaign hadn’t been a disaster, it put Brexit on hold. “Obviously it was damaging in the respect that the government lost its overall majority, but it also lost an awful lot of valuable time and momentum,” the Brexiteer source said. Less time for negotiation also meant less time for preparation, some of which was avoided for political reasons. “The government started communicating about ‘no deal’ in September last year,” says the IfG’s Owen. “That’s six months out for a massive change. The UK Government usually gives businesses years to adapt to changes smaller than this. Losing her majority meant May’s government owed its existence to MPs from other parties. The £1.5bn deal with the Democratic Unionist Party kept the Conservatives in power, but Downing Street had no plan to replace votes lost through inevitable rebellions by pro-EU Tories. The first meetings between the government and opposition parties took place in January, and a £1bn financial offer for Leave-voting Labour areas was only cobbled together in the past fortnight. “Holyrood does minority government well,” says Gethins. “At Westminster, minority government is a crisis.” As a special adviser in the first SNP minority administration, he learned the importance of forging working relationships with political rivals. Cross-party support for sports minister Tracey Crouch over regulation of fixed-odds betting terminals, and for Scotland Office parliamentary secretary Alberto Costa in his campaign for a guarantee for EU citizens, made it tougher for the government to respond – until after they had resigned. “It was completely unnecessary,” says Gethins. Indeed, most of the cross-party work on Brexit has happened in spite of the government. The SNP, Liberal Democrats, Plaid Cymru and the Greens formed a committee to call for a soft Brexit and a second EU referendum. Downing Street invited a cross-party group of Remain-supporting MPs for a briefing in January, but rather than convincing them to back the deal, it drove them away: among the delegation were members of the soon-to-be-formed Independent Group, including Labour MP Chuka Umunna and Tory Anna Soubry. With the help of Whatsapp, pro-EU MPs have organised themselves: Scotland on Sunday was told about one group of around 30 MPs whose members include Lib Dems Alistair Carmichael and Jo Swinson, Green Party MP Caroline Lucas and the Independent Group’s Chris Leslie. Along with the Brexiteer European Research Group, these informal alliances have helped inflict 13 Brexit defeats on the government in 18 months. It’s in stark contrast to Alex Salmond’s offer for opposition party leaders to join the negotiating team if Scotland voted for independence, or Nicola Sturgeon’s creation of a council of advisers on Europe that includes figures from other parties, Gethins argues. No government policy since the war has placed such great demands on so many departments at the same time. The level of coordination needed is huge, but it has been stifled by conflicting agendas and an insistence on secrecy and control from Downing Street. Documents as essential as the planning assumptions for Brexit, setting out what the government expects and what each department should prepare for, were massively over-classified, IfG research found. “It meant that you had to go on to special computer terminals or go and access hard copies in the permanent secretary’s office if you wanted to see these documents,” says Owen. The situation is reminiscent of how the Prime Minister wanted her own office run, particularly before the general election, by her chiefs of staff Fiona Hill and Nick Timothy. In times that call for flexibility, the person chosen by Tory MPs – all the other leadership candidates were eliminated or withdrew – has, until recently, demanded total control. The government’s political relationships in Brussels have come under even greater strain than those in London. Pro-EU critics blame the failure to communicate on a lack of experience among the vast majority of MPs of working in and with Europe. A source tells of Brussels-based civil servants having to explain the difference between the European Commission and the European Council to Westminster parliamentarians. At an even more fundamental level, many top European politicians speak English; as a documentary on Boris Johnson’s time in the Foreign Office showed, senior British figures often can’t communicate in the tongue of their opposite numbers. Europe follows our news broadcasts and reads our newspapers and we can’t read theirs. David Martin, the veteran Scottish Labour MEP, who is one of the UK’s longest-serving parliamentarians, says that from Brussels, it looked like the UK government believed the EU “would be willing to make all sorts of concessions to the UK that were never on the cards”. Some in the government hope there can be a third Brexit vote and more negotiations even if MPs reject the deal again this week, but Martin sees limited room for manoeuvre. “Europe is very, very adept and used to negotiating across parties and across interests,” he says. “It needs to find consensus on issues which, from a British point of view, is seen as a weakness. And once they reach a consensus, it’s a pretty firm consensus, because, by definition, to reach it people have had to make concessions and it’s very difficult to go back and make further concessions. As difficult as the journey to this week’s vote has been, Brexiteers are content with the outcome. “I’m not unhappy at all with where we are at the moment, because it looks very much as if we will be heading out on 29 March without this awful deal,” says the ex-minister. Others are more concerned about the long-term impact from three years of upheaval. Lord Wallace likens it to the “normalisation” of the worst behaviour of President Trump. “Revelations or incidents which would once have caused outrage become accepted, because they become routine,” he warns. “In a country with no written constitution, and where precedent matters, I fear we may be in danger of normalising the unprecedented constitutional outrages being perpetrated by the present government. • Tuesday: After a full day of debate, MPs will vote on the deal Theresa May has negotiated with the EU. A specific time for the vote has not been released. • Wednesday: If the deal is voted down, as expected, MPs have been promised a vote on whether the UK should leave without a deal or not. This is expected to take place on Wednesday. • Thursday: If ‘no deal’ is rejected by a majority of MPs they may be offered a vote on whether to request a delay to Brexit. • Friday, 29 March: Britain leaves the EU with or without a deal unless a delay has been agreed.